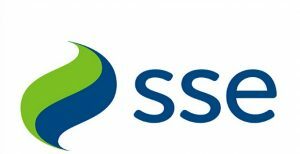 Did you know that SSE is one of the biggest energy suppliers in the UK? Take a look at this guide and find out what services they could offer you, plus find out what their customers are saying. Southern Electric is a trading name of one of the groups that make up SSE, so if you are looking for Southern Electric, you will be forwarded to the SSE homepage. Not only do SSE provide electricity, but they also supply gas, phone, and broadband. In theory, you could get all of these utilities from one company which can save you time and energy as you only need to get in touch with one company if you are moving home. Although it is important to remember that every quote will be based around your circumstances, this is an idea of the quote you can expect if you live in a three bedroom household with around two adults living there. £40 per fuel off annually by paying with monthly Direct Debit. These are the new generation of meters which communicate your energy usage in real time to ensure that you’re only paying for the energy that you are using, saving you money in the long run. The ‘feed-in scheme’ is a government initiative that guarantees on the return you pay for energy generating equipment. Generating your energy can also help you to reduce your energy bills, plus you can get paid for your excess energy for up to 20 years. When it comes to customer support, SSE, unfortunately, has a negative reputation on trusted websites like Trustpilot, with a massive 81% of their total reviews falling into the negative 1-star category. You never know what a company’s customer service is like until you have to use it. I recently had a problem, and this was dealt with excellently. They kept in contact with me until the problem was solved. Honestly so much difficulty with trying to leave them because they were awful in the first place. Sent intimidating final bill letters even after a payment plan had been set up, only to discover then the payment plan had been cancelled without our knowledge. SSE has a wide variety of tariffs for their customers to choose from, which are mainly separated by the difference in payment methods, for instance, if you would like to pay quarterly instead of by direct debit and so on. These tariffs range from fixed price one-year contracts to a two-year agreement that comes with a free £40 Argos voucher. Tariff ends on One year from supply start date. Price guaranteed until One year from supply start date. Tariff ends on Two years from supply start date. Price guaranteed until Two years from supply start date. SSE Southern Electric does not have a positive customer reputation online, with only a 1-star rating on Trustpilot. Many of the negative reviews state that there are problems with billing, some customer service issues and what appears to be administration issues. Although online reviews aren’t always accurate, you should still consider them, especially when deciding whether to switch providers. Been with them through three houses always transferring them with me. Maybe they do cost a little more but have always been good online and on the phone. Have only used them for gas and electric though. Horrendous. Moved into my flat in November 2017. It took them forever to set up my gas and electric. Finally set it up, and continued to pay my bills by direct debit. I then started to receive letters saying that they are going to send debt collectors to my home. SSE Electricity might be a good fit for a customer who would like to have many of their house utilities from the same company, who would benefit from the multiple discounts that seem to be available for existing customers. SSE is a huge energy supplier, being one of the ‘big six’ in the UK. This means that they have a large market share of the energy market, which means that not only do they have hundreds of thousands of customers, but they are also held to a very high regard because of this.